If you wear glasses, you are among the many millions. Did you know that six out of ten people wear glasses? Thanks to enhanced technology and science, prescription glasses today are more durable, stylish, and attractive than ever before. There are styles and options to fit every need. When selecting what type of glasses to purchase, you may have wondered whether it matters. 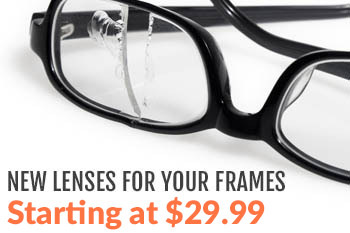 Many people choose their prescription glasses based on how the frames and lenses look on them. Of course, looks are important to how you feel about yourself. However, there is a lot more to your prescription glasses than just how they look. When you invest in a pair of glasses, you want to ensure you get the best quality, durability, and match for your lifestyle. So, how can you determine what glasses are best for you? Here are questions to consider when selecting your new prescription eyewear. What type of job you have may seem unimportant at first thought. However, when considering what type of glasses to select, your job activities are relevant. Certain jobs pose more of a risk to the eyes. Let’s look at a few of these jobs. Masonry: Masons have the important job of bricklaying. However, they do not only lay the bricks and apply the mortar. Other aspects of the job expose the eyes and face to flying objects. Using special chisels and hammers, masonry workers chip away at bricks making them into smaller pieces. Often times, brick particles fly up towards the face and eyes. If you are involved in masonry work, then your eyes are exposed to potential damage and need proper eyewear. Carpentry: Carpenters work primarily with wood. They construct important parts of a building or home. There are different types of carpenters such as the finish carpenters, rough carpenters, and cabinetmakers, all of which contribute to the building of a structure. Carpenters also repair existing internal structures such as doorways, stairways, lofts, attics, and so on. They may also install the trim or beams inside a house. This means that they spend much of their time measuring, cutting, and sawing wood. As a result, wood chips, dust, and debris shoot out from the blade during cutting and sawing bringing potential harm to the eyes. Welder, cutter, or solderer: The welders job is critical to the construction of many structures in our world. Wherever you see metal fastened together in some way, you know a welder was hard at work behind the scenes. Whether it’s the metal frame of a bridge, metal parts on a vehicle, or metal fused together in a small appliance, welders do it all. Using hand torches, molten metal sparks from the welding process putting workers at risk for injury. According to the U.S. Bureau of Labor Statistics, welders, cutters, and solderers are second on the list for on-the-job eye injuries. Protecting the eyes in this type of job is critical. Construction work: The term construction worker encompasses a wide range of trades. We often think of a construction worker as the person out on the road pouring asphalt and so on, but the construction worker may be in any number of fields. From boilermakers to sheetmetal workers, you’ll find construction workers engaged in jobs that expose the eyes to risk. From flying debris to sparks to the ultraviolet rays of the sun, construction workers confront many challenges on the job. Digging or chipping away at bricks, stone, asphalt, or cement. Using any heated substances such as is used in welding, pouring, casting, and galvanizing. Using tools that cause any type of particles to fly through the air. Any type of job that stirs up dust and debris. What type of lifestyle do you have? Maybe you have a desk job in an office building and your eyes aren’t exposed to dust and debris at work. However, you have an active lifestyle outside of work. Maybe you enjoy four-wheeling on your off days. Riding over rough terrain, you often hit loose dirt, gravel, and small rocks. This puts your eyes at risk as well. Maybe you are a hunter and rely on superior vision to see your prey. You can’t be bogged down with the sun shining in your eyes. 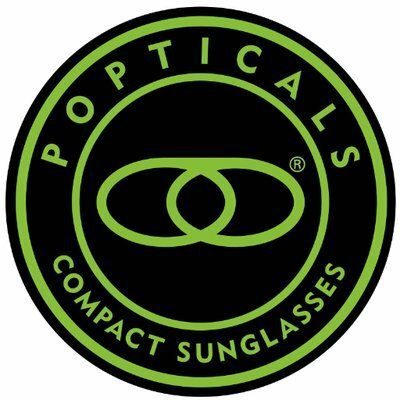 At the same time, wearing typical prescription sunglasses does not adjust when a cloud covers the sun. You need a pair of eyewear that can automatically adjust to the natural changes in lighting you experience. Do you love riding your motorcycle on the weekends? Soaking in nature’s beauty is easily done while cruising down the highway. However, motorcyclists often run into risks for eye injury since they are exposed to the elements. Cars in front of them kick up stray rocks. Large trucks barreling down the road stir up the dirt and dust. Gravel sputters underneath the motorcyclists tires. All of these activities bring harm to the eyes if they’re exposed. Many sports require the use of prescription safety glasses. Whether it’s football, baseball, scuba diving, or swimming, finding the best prescription glasses will give you the edge in your activities. What glasses are best for me? So, just what type of prescription glasses are best for you if you work in any of these types of jobs or engage in these activities. You need to have something a cut above standard eyewear. Standard glasses may help you see what you’re doing, but they won’t be able to protect your eyes adequately. Active Lifestyle: Featuring the Realtree Camo frame, you will love these for hunting, biking, or on the job. Don’t let the attractive style of these glasses fool you – they stand up to any rigorous conditions you may encounter. Changeable: Need something extreme? These glasses meet the military’s ballistic standards for eye protection. OSHA has given these glasses the green light for occupational eye protection. You can even change out the lenses to adjust to varying light conditions. Now that you’re ready to make that investment in a pair of prescription glasses, consider Wiley X. All adult prescription eyewear from Wiley X comes with the ANSI seal of protection, which means they have withstood the tests for high impact, high velocity, and are shatterproof. Some brands feature anti-fog and different light-filtering options. Also, always enjoy 100 percent protection from the sun with Wiley X. Connect with us today and we can help guide you in finding the best pair of glasses for your needs.